LITTLETON, Colorado – February 12, 2019 – Mastering the art of blending luxury with comfort isn’t easy. Nor is it easy to blur the lines between outside and in. Avalon Waterways’ Panorama Suites – available on two full decks of EVERY ship in Avalon’s fleet have done just that. And that’s not all. In addition to launching the NEW Avalon Envision in April with godmother and best-selling author Elizabeth Gilbert, the river cruise company is announcing plans to launch the NEW Avalon View in 2020. Providing travelers with the the most consistent ship and stateroom experience fleet-wide available from any river cruise operator across the globe, the NEW Avalon View will mark Avalon Waterways’ 14th Suite Ship in Europe; its 17th Suite Ship worldwide. In fact, Avalon Waterways is exclusively sailing new, Suite Ships with an average age of just six-years-old. Further, 92% of travelers said beds facing the views is “important” or “extremely important” when booking a river cruise. Avalon’s Open-Air Balconies for the “win.” According to survey respondents, their favorite feature of Avalon’s Panorama Suites are Open-Air Balconies which feature wall-to-wall, floor-to-ceiling windows that offer the widest-opening windows on two full decks (they open 7-feet wide in Europe; 11-feet wide in SE Asia) to invite the outside-in, without compromising room space. Avalon’s Panorama Suites also feature large marble bathrooms and beds facing the views. Travelers wanting to see the world need only cruise down its legendary rivers. For those interested in seeing more of the world, there’s Avalon Waterways®. 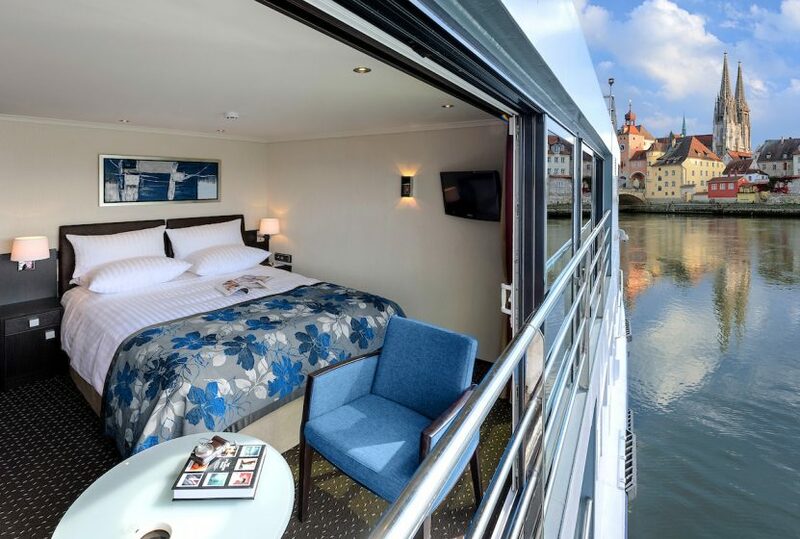 Our entire fleet of Suite Ships® feature one-of-a-kind Panorama SuitesSM, with the widest opening windows in river cruising, the industry’s only Open-Air BalconySM and beds facing the incredible views. Beyond our wall-to-wall, floor-to-ceiling windows is a world waiting to be explored – YourWay – with customizable vacation options, from start to finish. *Survey of 652 past Avalon Waterways travelers.